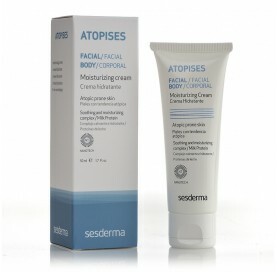 Facial and/or focal moisturizer for atopy-prone, reactive, and dry skins. Prevents, spaces out, and reduces the number of outbreaks. Can be used as a complement to corticoid and immunomodulatory regimens. Suitable for babies, children, and adults. Perfume-free. Daily hygiene for atopy-prone, reactive, and dry skins. Prevents, spaces out, and reduces the number of outbreaks. Can be used as a complement to corticoid and immunomodulatory regimens. Suitable for babies, children, and adults. Perfume-free. Pieles envejecidas. Complementary to corticosteroids and topical immunomodulators treatment. 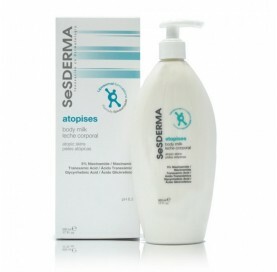 Daily body moisturizer for atopy-prone, reactive, and dry skins. Prevents, spaces out, and reduces the number of outbreaks. Can be used as a complement to corticoid and immunomodulatory regimens. Suitable for babies, children, and adults. Perfume-free.